Every year, as the Oscar nominees are announced, I tell myself I’m going watch all the best picture nominees before the Awards air on television. This tradition started in 2011, and at this point I’ve still only seen five of those ten nominees. Of the nine 2012 nominees I’ve again only seen five and I’ve only seen four of last year’s nominees. So I decided this year would be different. Of course this also happens to be there year in which I haven’t seen any of the nominees prior to the announcement. So, I came up with a plan to try to hold myself accountable to this goal. After I see each movie I plan to write a short review and post it here. I also plan to rank each film in relation to the rest of the films in the category, until I’ve seen every one and can pick my choice for Best Picture. Just for fun, I thought I’d try an experiment. Without having seen any of the films, I ranked them all based on what I know of each film currently. This way I can compare the lists after I’ve seen them all and see how they change. Granted, the three films I know the least about ended up at the bottom of that list almost by default. That’s one of the reasons I’m really curious to see how this list will change once I’ve seen them all. I’m really hoping this is the year I follow through and complete this goal. 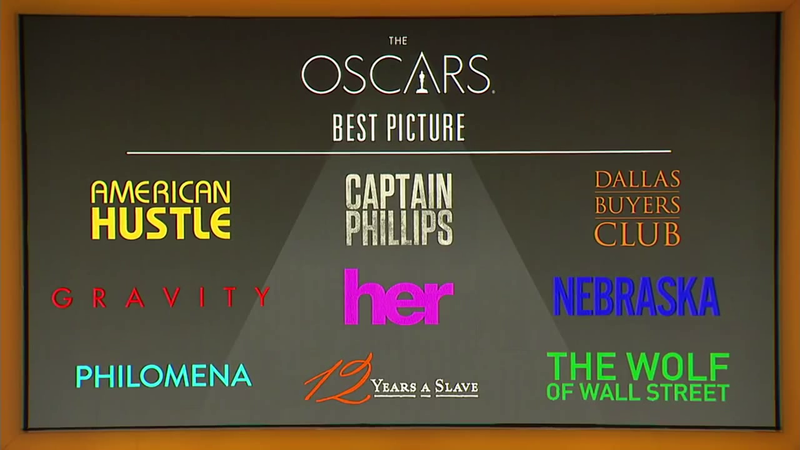 I’m looking forward to seeing each of these films and actually having an opinion on who might win when the awards air on March 2nd. First up on my list is American Hustle, so expect to see a review posted later this week.